The proposed new Medical Termination of Pregnancy (MTP) Amendment Draft Bill to allow nurses and non allopathic practitioners such as ayurveds and homeopaths to conduct MTP has triggered a huge debate on patient safety versus access to healthcare. This story in the Times of India says the the government’s proposal was formulated after a study conducted by the Population Council, which had suggested that expansion of healthcare providers to legally perform abortion services will result in increasing access to safe abortion. However, many are concerned that abortion by untrained professional may put patients at risk and encourage unethical practices. IMA has also written to Prime Minister Narendra Modi and Union Health Minister Dr. Harsh Vardhan requesting them to withdraw this proposed Bill immediately. Dr. Anoop Misra, former professor of medicines at AIIMS and chairman -Fortis hospital and Dr. Mala Srivastava, senior consultant-gynaecology at Ganga Ram Hospital agree with the IMA view point . “Without proper training and qualification, MTP procedures can result in incomplete abortions and infections which can be hazardous for patients,” says Dr Srivastava. According to the TOI article , seven million abortions in India are conducted every year. Out of this 50 per cent of the abortions are conducted illegally. 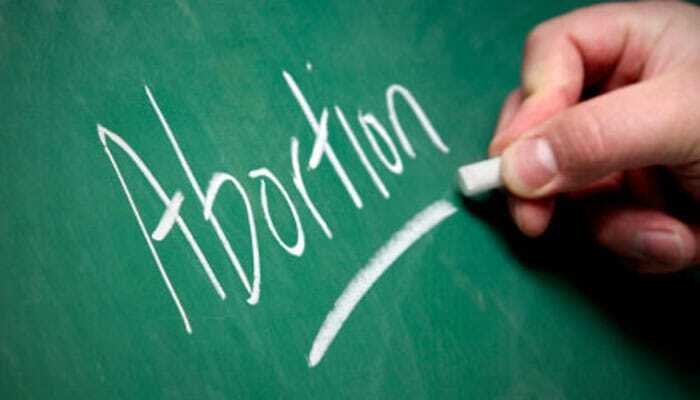 The rates of maternal death attributed to complications from unsafe abortions are estimated at eight per cent. In contrast, World Health Organisation (WHO) and other organisations seem to endorse the government’s proposal. One of the reasons for this as suggested in the news is that in remote areas, legal restrictions are holding many non- certified but trained paramedics or health care providers from performing abortions. “Because of legal restrictions, many trained professionals opt for the illegal route to perform abortions. By introducing provisions in the law to make it legal, government can ensure proper training of such professionals while also enabling regulation and monitoring,” says Vinoj Manning. He is the Country Director of IPAS, a non-profit organisation that works to increase women’s ability to exercise their sexual and reproductive rights and reduce maternal mortality. This is an important issue and HII will be monitoring this story closely. We would like to leave you with one last view point for today . Shiv Sena MP, Dr. Shrikat Shinde doesn’t agree with the proposed amendment. He decided to educate his colleagues in the parliamentary standing committee on the health and family welfare about the proposed change in the MTP Law. As he said, “we are opening the floodgates by allowing anyone and everyone to conduct abortions. The surgery involves use of sharp instruments such as the curette. Any doctor, nurse or midwife not trained to use these instruments or who has not studied the female anatomy just cannot conduct this procedure”. He will bringing up the issue at the meeting of the parliamentary standing committee scheduled this Wednesday. Why Isn’t India giving out FREE BIRTH CONTROL PILLS to the Females of Child Bearing Age. 7000000 Abortions and still India is Over Populated. Give Free Vasectomies to the men who don’t want any more children. That will help too. Just Saying..